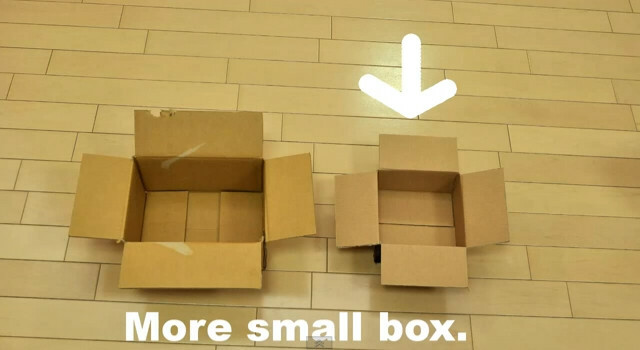 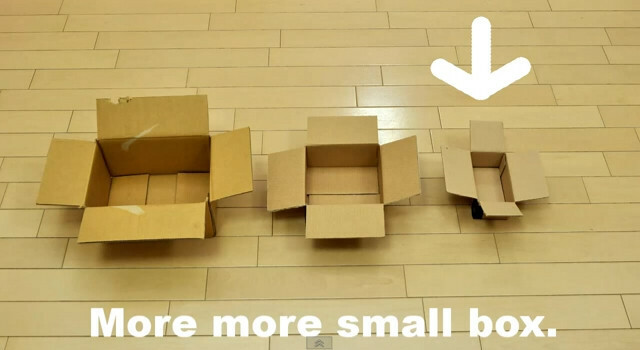 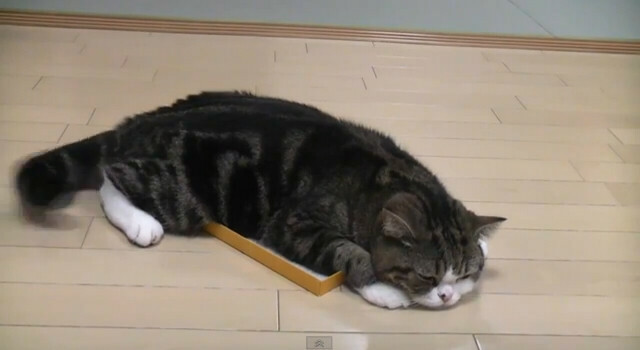 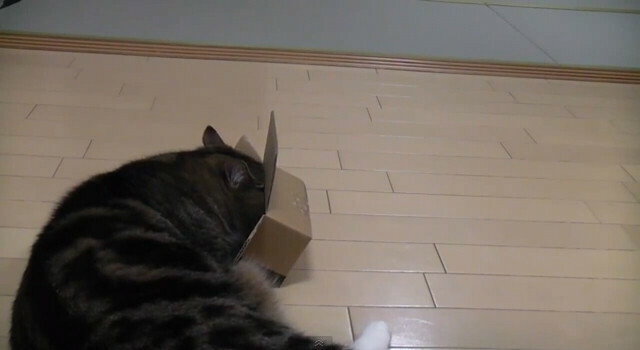 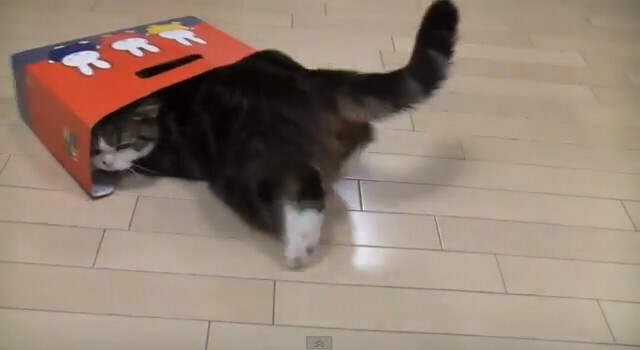 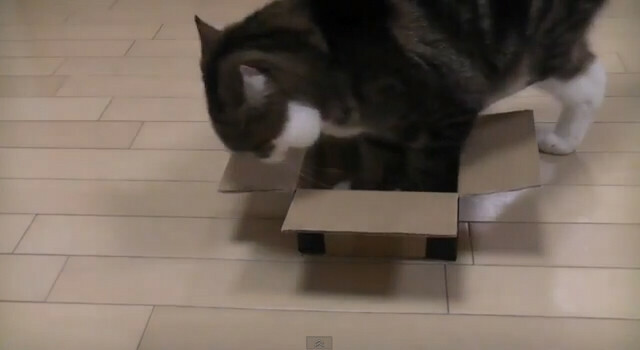 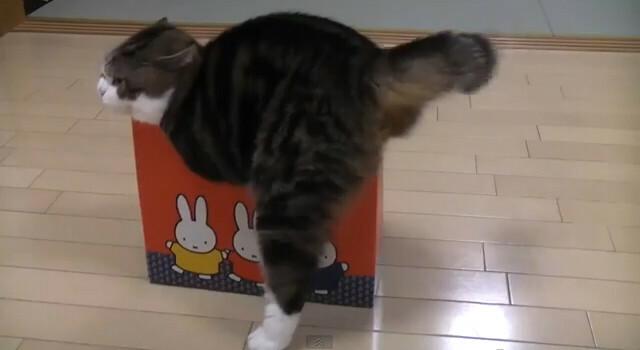 When Maru found a smaller box, do you think that he gives up entering? 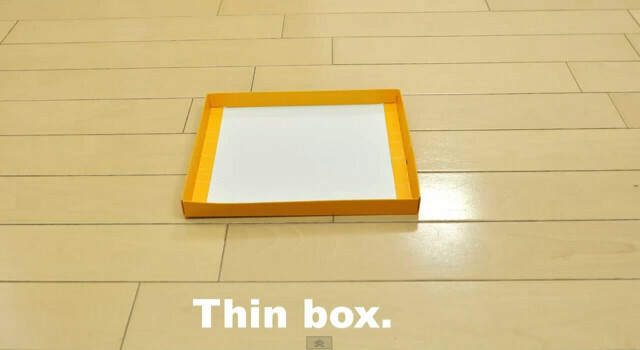 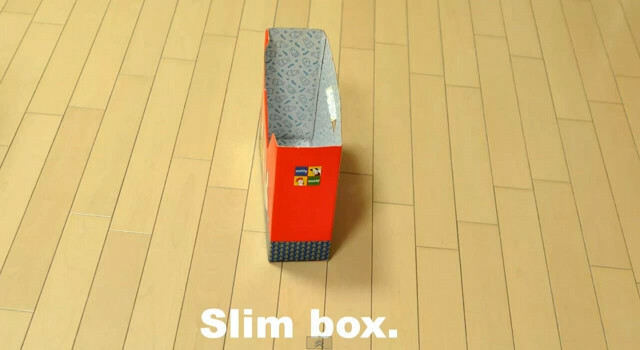 This is an experiment film about whether he gives up entering when he found a smaller box. 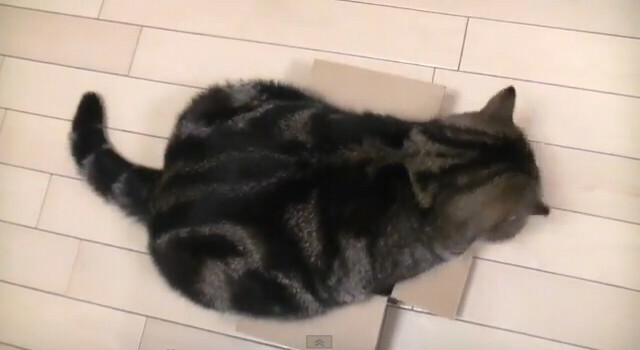 結果：決して諦めません。そこに箱がある限り。／Result: Maru never gives up entering as long as there is abox there.